Squared Away Pest Control is a full-service pest control company that provides responsible, environmentally sound, and cost-effective solutions to your pest management problems. Results are our top priority. 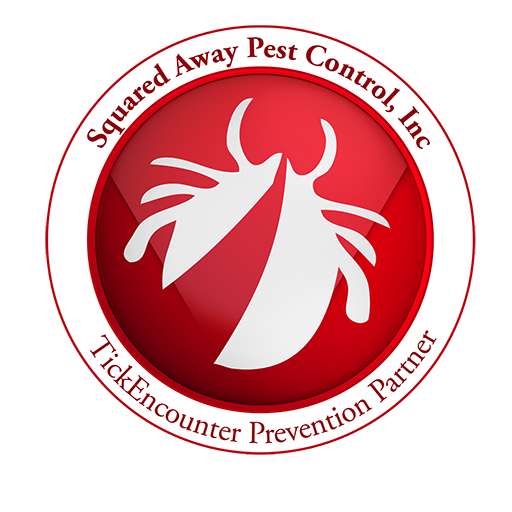 Using an Integrated Pest Management (IPM) model, Squared Away is equipped to help you with your pest control problem. We offer guaranteed results for all services, including inspections, removal, and eradication of insects, rodents, and nuisance wildlife. Squared Away uses non-invasive, green pest control techniques to locate bedbugs and their viable eggs.We can treat for bedbugs using several different reliable and effective methods, including product-based or heat eradication. We also perform bedbug inspections and can confirm for you whether an area is bed bug free. Using eco-friendly, seasonal treatment, Squared Away can reduce the tick exposure on your property. To effectively minimize exposure to deer ticks that carry Lyme, we recommend treating your property three times per year in the spring and fall. Minimize the risk of mosquito-borne diseases with seasonal treatment of your backyard. Have us treat for special events, like a birthday party, Fourth of July, or backyard barbecue with green or eco-friendly products. "Squared away pest control has been the best choice in exterminators for our community. The owner is involved and responds effectively. Guy is committed to customer satisfaction at all times. I recommend this company to anyone that is in need of regular extermination services as well as emergency services." "…since I have met Guy and transitioned to Squared Away Pest Control I can rest assured that my best interest is his top priority. Guy is receptive, responsive, thorough and personable, all necessary qualities for succeeding in his respective field and all well suited to the needs of my facility and the residents therein…"
"I rely on Squared Away Pest Control at all of our properties and could not be happier. Guy Raffa is knowledgeable, reliable, and honest! He helps us formulate a plan, schedule, and prep our tenants for treatments. Working with Guy gives me one less thing to worry about in my busy schedule as I know we are in good hands!!!" Copyright © Squared Away Pest Control.